The Specials: magic misfits and criminals who earn big money doing illegal magic jobs. For Arrow St. Martx, the danger and the risks are high. Magic assassination, kidnapping, assault–there’s a good chance she and the others could be killed or wish they had been. But she’s on a mission to overthrow the corrupt government and she needs the Specials to help her do it. It’s just too bad she doesn’t trust them. The Architect, the mysterious young man who travels within time and space and controls the Specials, is as intriguing as he is dangerous. He wants Arrow, and he’s upended her life to get her. Teaming with The Architect might be the smartest move Arrow could make…or it could be the deadliest. But no matter what it takes or who she has to align herself with, Arrow is going to rewrite history. Who decides which side is “right”? Arrow is now a Special, wanted by the police for murder and for the illegal use of magic, even though she’s innocent of the former and feels justified for the latter. But it’s too late to plead her case. She’s thrown her lot in with the magic criminals of the Sinistera Hotel and, like them, she’s doing the strange jobs assigned to her by the mysterious hotel manager, Mr. Tower. Her latest job, stopping a guest accused of assault, rubs her the wrong way. It feels like a set-up, and if there’s one thing Arrow knows how to sniff out, it’s deception. Skeptical of The Architect’s claims that the job is what it appears to be, Arrow begins to investigate, and unravels the threads of a plan to kill the hotel’s most deadly resident: the vampire Count Ionesceau. Most want him dead, so the list of suspects is a mile long, but Elliott declares his intention to protect the vampire, even if it pits him against Sheridan. 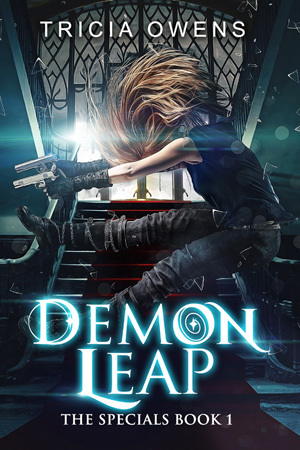 With deadly confrontations looming, Arrow learns more about the ice demons from her grandmother, who is gradually recovering her memories of the war. Her grandmother hints that Dr. Febrero wasn’t the only scientist working for the military and that one in particular directed the demons. Tracking down this second scientist proves to be difficult until Arrow finds a trail that leads her in an unexpected direction: back to the Sinistera Hotel. Suspicious of everyone she’s supposed to trust, Arrow might find herself alone as she faces the dual dangers of a vicious vampire and a cruel, demented scientist. 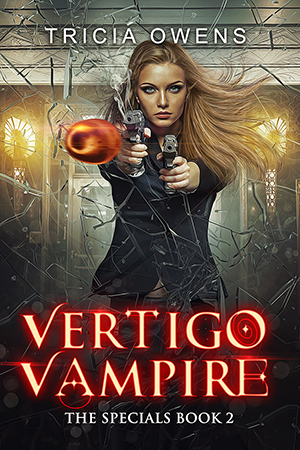 Vertigo Vampire is the exciting second book in The Specials! Light Strike, Book Three of The Specials, Coming Soon! 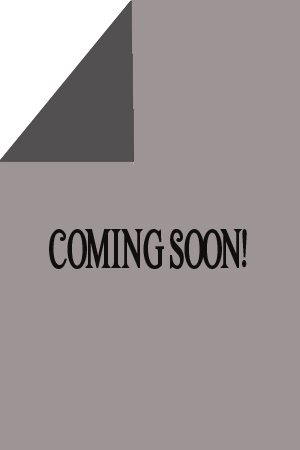 Book Four of The Specials, Coming Soon!